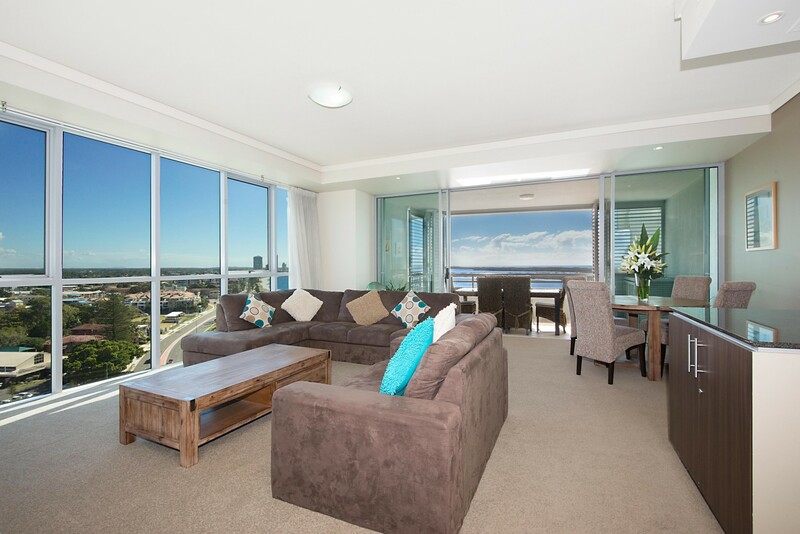 2 Bedroom 2 bathroom, Superior Water View Apartment, fully self-contained, kitchen, laundry, 2 bathrooms, Foxtel, wireless internet, air conditioned, private balcony, Queen in the main bedroom (one with extra single in master bedroom – by request only when booking) + 2 Singles in the second bedroom. 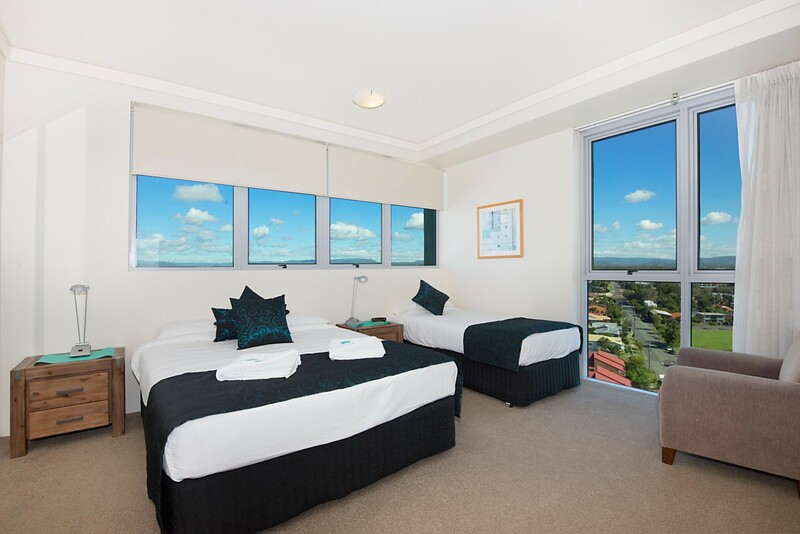 Full use of all resort facilities, complimentary car parking. 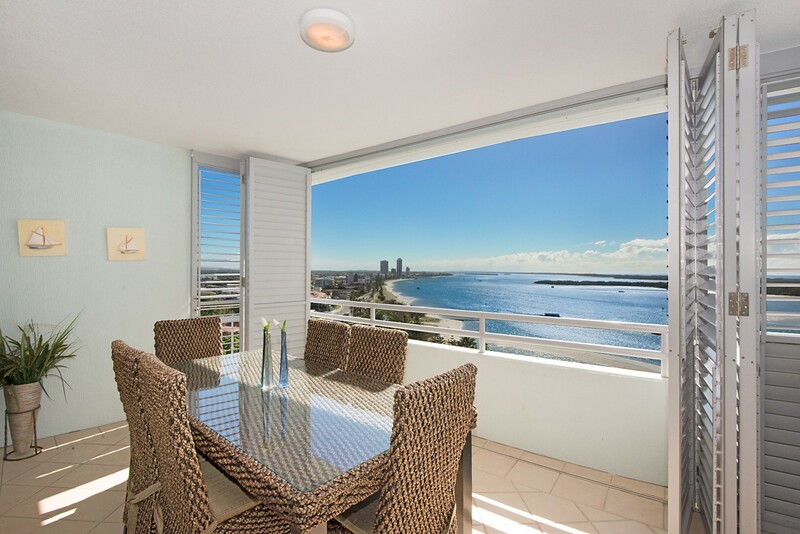 Set on the shores of the magnificent Gold Coast Broadwater, the Grand has uninterrupted views of the Gold Coast Skyline and lush tropical hinterland, Ideal family holiday with fully equipped gymnasium ,sauna, steam room + infinity edge swimming pool. Sleeps 1-4 people with a maximum of 6.